Beyond the recurrent debates on the official status of cosmetic medicine, the variety of problems related to facial rejuvenation requires a multi factorial and support a global vision, with a care strategy that takes into account both the desired result and availability of the patient. Here, the notion of “availability” must be understood in its broadest sense, and fears, even the attitudes of rejection towards this or that method, must be met: each patient has its own rhythm of voluntary access the beauty treatment, and progressive results are often preferable to unwanted gestures or misunderstood. Nevertheless, there will always, to an urgent request, to admit that the good result will inevitably be delayed, which remains true even if the surgery. The very term “facial rejuvenation” refers to a very general theme of “anti-aging” on the one hand, and on the other hand, practice a variety of local actions in the face. It is clear that of endocrinology to dermatology, to general medicine and surgery, most activities and medical specialties may be affected by the process. Thus, while an organized medical care system is everywhere recommended, it would be absurd that, in the field of medical aesthetics is not the fact as well. Multi disciplinarity is the key word here, which should be complementary and add ethics. In fact, the key players in support of an application are currently the medical aesthetic beauty, the aesthetic dermatologist and the cosmetic surgeon. Their actions must be coordinated and be part of a strategy for personal care, which tends towards the best result possible, while respecting individual choices and safety of the patient. 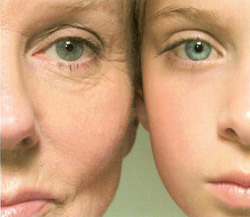 The medical aesthetics, in general practice ambulatory movements without general anesthesia, and limited to superficial tissues, and its comprehensive approach to the patient and phenomena associated with aging result, moreover, for advice, tests paraclinical requirements and often placing in the beauty care industry, in a situation equivalent to that of “doctor”. Whenever the results of actions which require more than technical skills, it will have a duty to report and refer patients to his fellow professionals. As part of the aesthetics of the face, it will be mostly a request for corrective surgery (rhinoplasty, blepharoplasty,facelift,…), but, often, get expert advice for a skin lesion with excision or biopsy may be necessary. No procrastination, no reluctance, no a priori must parasitize these exchanges and this relationship interprofessional, our patients are the primary beneficiaries.